Truck, tractor-trailer, semi-truck, big wheeler -- whatever you call them, one thing is for sure: nobody wants to be in a wreck with one of them. Unfortunately, there is no way to eliminate the risk entirely because everyday on the streets and interstates in and around Murfreesboro these big trucks share the roadway with passenger vehicles. While some tractor-trailer drivers are safe and courteous, others engage in incredibly dangerous driving behavior while driving a truck with a gross vehicle weight of over 60,000 lbs. Not surprisingly, serious injuries and even death are all too often the result of a tractor-trailer driver's carelessness. 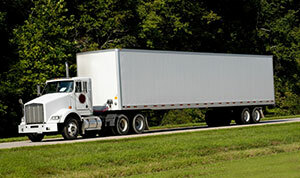 If you have been injured in a tractor-trailer accident, we can help you following the accident. In serious accidents, most trucking companies will send an investigator or an adjuster to the scene of the wreck while it is still being investigated by the police. In some cases, they also send a lawyer and an accident reconstruction expert. All of these people may be on the scene of the accident before you or your loved one has even been extricated from the vehicle and taken to the hospital. Our award-winning lawyers and trained staff can help you level the playing field by offering our own investigation into the crash and hiring experts to help determine who is to blame for the accident. Because while it may be the truck driver, it may also be the truck manufacturer because of faulty equipment or someone else altogether. Whoever it is, we will help you hold them accountable. We know some people are skeptical of this and what it truly means. So let us explain. When you call us, we will want you to tell us what happened in the accident. We will then explain your rights in clear terms and advise you as to whether we think we can help based on the facts of your case and the law. We will not charge you a thing to do this. If we think we can help you and you want to hire us, we will handle your case on a contingency basis which means we only get paid if we win. Unlike some lawyers, we advance all case expenses because we know most of our clients are out of work while they recover from their serious injuries. The last thing their family budget can tolerate is litigation expenses. And, we would never ask our clients to sign expensive litigation loans with extremely high interest rates. Before you hire us, we will provide you with a simple written agreement which fully explains our fee and expense arrangement. To learn more about our fees and expenses, click here. Do Not Delay -- Protect Your Rights Today! The law only allows you a limited time to pursue your rights, and we have explained that in more detail on this page about legal deadlines. But just as importantly, remember all of those folks who the trucking company and insurance company send to the accident scene. They are trained to interview witnesses, secure evidence and take statements advantageous to them. The sooner you have someone doing the same for you -- the more likely you will have a successful outcome in your case. To help accident victims, we have developed a checklist of things they can do themselves following an accident and the things we will do for you once you hire us. But, even if you do not hire us, seek the help of an experienced lawyer as soon as possible. We have put a lot of free legal information on our site because we want you to know who we are and what we do. Take the time to review our FAQ page, our videos and the numerous pages we have written on trucking accidents, compensatory damages, punitive damages and more. Review our written testimonials and our video testimonials. We are so proud of the difference we have made in the lives of our former clients and the relationships we have forged in helping them through a rough time in their lives. Check out our bios and the awards we have won. Then, call and interview us. You should like and trust your lawyer and we want you to feel completely comfortable that you have made the right choice. Call us anytime at our Murfreesboro office at 615-867-9900 or toll-free at 866.812.8787 or fill out this online form and we will be happy to call you.